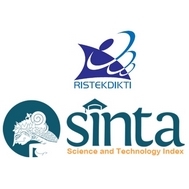 Sivala S.Health technology assessment in the Asia Pacific Region. International Journal of Technology Assessment in Health Care. 2009;25:196–201. Yang B. The future of health technology assessment in healthcare decision making in Asia. Pharmacoeconomics. 2009;27 (11):891-901. Chen Y, Banta D, Tang Z. Health technology assessment development in China. International Journal of Technology Assessment in Health Care. 2009;25: 202–209. Sivala S. Health technology assessment in Malaysia. International Journal of Technology Assessment in Health Care. 2009;25:224–230. Doaee SH, Olyaeemanesh A, Emami SH, Mobinizadeh M, Abooee P, Nejati M, et al. Development and implementation of health technology assessment: a policy study. Iranian J Publ Health. 2013;42:50-55.
WHO. Indonesia. Global atlas of medical devices. WHO; 2014. SEARO. Health in south-east Asia. A SEARO Newsletter. 2013;6(2):18.